This article highlights once again the paucity of good ergonomic standard bridge design often influenced by well meaning navel architects, salesmen of bridge equipment or retired naval officers who have had no or little practical experience in keeping a bridge watch or close quarter ship handling. EVERY well-designed ship represents a compromise of aims for the designer. Even the dimensions involve a balance between the demands for a capacious cargo-carrying space and the need to reduce resistance. The need to minimise the draught or keep the length beneath certain parameters, or the requirement for an air draught to enable the ship to pass under a certain bridge may demand compromises in other directions. The need for power, great manoeuvrability or cargo requirements mean balances must be made if the ship is to function well. It is also curious to note how design features that were once thought important have now been relegated to the history books, largely to reduce the cost of building ships. It was, for instance, regarded by mariners as desirable that the ship’s bridge should be close to the mid-length of the hull. Elderly people may recall tankers with a centre castle, even though the machinery was in the after part of the ship. They might also remember ships with camber, to keep the decks dry, and a rise of floor forward and aft, which, along with raised forecastles and poops, would keep the seas where they belonged. Some adventurous designers, whose identity is surely lost in the mists of time, must, at some stage have suggested that all these things were unnecessary and, by pandering to seafarers, only increased the costs of shipbuilding. Henceforth, ships would be constructed to a more utilitarian pattern, with accommodation piled right down aft or up in the eyes of the ship where it would be a useful breakwater. Presumably, those paying the bills would have agreed with these changes wholeheartedly, ignoring protests from those who might have needed to live on board and work the ships. With our modern enthusiasm for environmental priorities, other pressures pile onto the designers’ computer. Fuel saving, reasonably equated with saving the planet, requires the power to be minimised, while speed, which was once a matter of pride to a shipowner, is now severely curtailed. And waking up to the fact that a wind from ahead tends to slow down a ship, streamlining has become a new fashion. Mind you, such enthusiasms for new and radical designs bring with them the risk of unforeseen consequences. I sailed in a wonderfully streamlined ship, which looked as if it could go fast, but in fact was no faster than any other of the same power. The bridge front was elegantly curved and the windows set in at an angle, which meant that if you stood too close to the glass you bumped your head. Worse still, while the windows meant that there were no night-time reflections, rain, dew and snow lay on the surface and obstructed visibility. The unprepared would come onto the bridge, conclude it was foggy and prepare to put the engines on stand-by, before realising that it was perfectly clear. It is why the Safety of Life at Sea Convention has required windows to be angled in to their lower edge. I can remember seeing the extraordinary design of the car carrier City of Rotterdam when it arrived in North Sea waters and remembering my beautiful old ship. The designers of this ship and its owners were triumphantly telling the world of the savings to the environment that would result from a forepart that resembled a tennis ball with windows. To maintain the perfect curve, only the window which was on the centreline was perpendicular to the fore and aft axis, with those on either side sloping away to the sides. It was certainly a very striking looking vessel, though once again it occurred to me that the ship was being handled from a position right over the bow. I wonder if any master or pilot was able to cast his eyes over this singular design while it was on the drawing board. The ship’s flag state, Panama, was persuaded to approve its non-SOLAS compliant bridge arrangement and the vessel went into service, to enthusiastic remarks about its fuel consumption and environmental signature. So it was sad to learn, nearly two years ago, that the car carrier had been involved in a nasty bump in the River Humber and that subsequently, the Marine Accident Investigation Branch had concluded that a major contributory factor was the design of the wheelhouse. On a wild night, with the outbound ship making a lot of leeway in the wind, the pilot, standing behind one of the angled windows off the centre, was fooled by the illusion that he was looking ahead, when his view was on the bow. He believed that he was steering almost south to gain the right-hand side of the channel but it was an illusion, and he was failing to clear the incoming ferry. The MAIB also reported that pilots elsewhere had found difficulties caused by this ultra-green design. The report from the MAIB, objective and professional as they are, must not be used in evidence but it seems quite extraordinary that presumably after they had read the report, Maritime & Coastguard prosecutors saw fit to send the master and pilot of the ship to the Crown Court in Hull, where, after they pleaded guilty to a number of charges, they were given custodial sentences, albeit suspended. It is, after reading the MAIB report, difficult to ascertain the logic of this approach, unless it is designed to demonstrate that henceforth, all accidents, no matter how they were caused, render the participants liable to a severe sentence, on the Admiral Byng principle. It is not too far-fetched to conclude that while plenty of seafarers over the years have lost their lives because of design problems, these two individuals have been criminalised by the same. 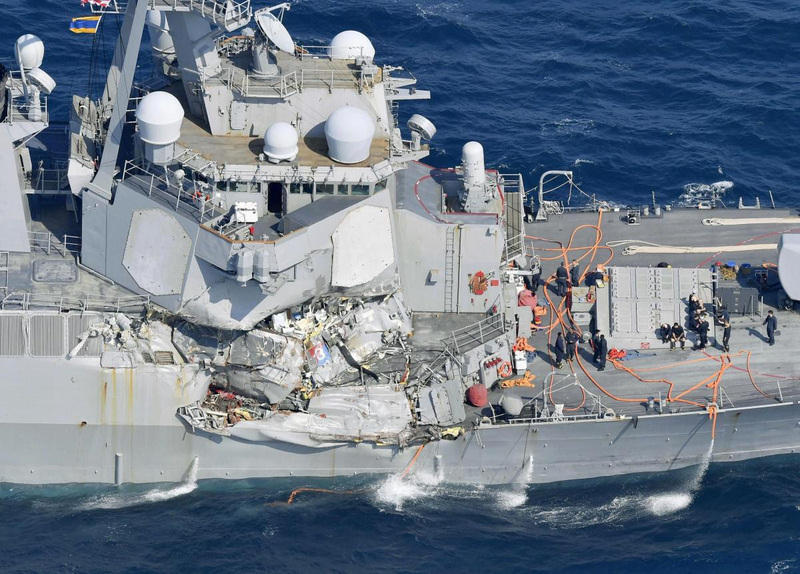 By Captain Paul E. Lobo – As a retired Lieutenant-Commander in the US Naval Reserve, and a San Francisco bar pilot with over 31 years’ experience, I find the recent collisions of US Navy vessels and the resulting loss of life disheartening and incomprehensible. And, much to my dismay, these incidents could have been prevented – that is, if the Navy would stop operating like, well,..the Navy. As a bar pilot, my job was bringing all vessels, great and small, into San Francisco Bay. That meant coming aboard and taking navigational control of the ship to entry into the bay. During my career, I piloted over 6,500 ships, 155 of them naval vessels (mostly US, with some foreign). 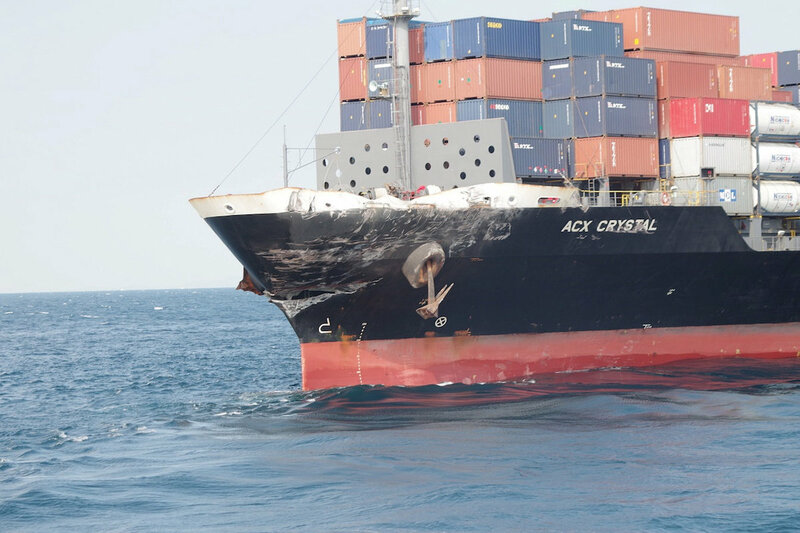 Despite the skills I witnessed, however, I have to conclude from the recent Navy vessel collisions that today’s Navy seems to be becoming more and more incompetent. Complacent? Within one month, in peacetime, two Navy ships had loss of life (this must be some sort of sad record), and we’ve since learned that training was lacking as was the proper certification. Today’s Navy seems to have ignored the need to learn the basics of seamanship. One of the first rules of going to sea is relatively simple: if another ship is getting closer and their bearing stays the same, IT WILL HIT YOU. This happened twice in one month! In admiralty law, a ship only has the right-of-way until she reaches extremis, then she must get out of the way or will be found partially to blame. There is no excuse for a modern destroyer not to get out of the way even if it has the right-of-way. Large commercial vessels take miles to stop, but the Navy’s two guided missile destroyers hit midships can maneuver on a dime. I know, because I piloted them. Second, there are far too many personnel on Navy ships, which is not only costly, but can be distracting when cruising at 25 knots. One example of this over-manning: the Navy still uses “Norwegian Steam” – that is, manpower and muscle versus mechanized winches — to heave in mooring lines. Consider that a modern 1,200-foot commercial container ship operates with only about 20 sailors aboard, and the ship owners are talking about unmanned ships as we speak. A small naval ship, such as the USS McCain, has 281 men and women aboard. Not only is this crowded, but you must berth and feed all of them, which means more bodies. I have piloted several carriers and counted as many as 40 people on the bridge while we were entering port, and it makes for a distracting work environment, to say the least. The Navy culture also relies on the use of many assistants. There are advantages to the system, to be sure, but aboard ship, without one individual “running the show,” the potential for confusion and error increases exponentially. Yet, still, the Navy way continues. During my career, some commanding officers would not give me the “Conn” until their ship got into trouble – and in San Francisco Bay, that potential always existed. When the worse happened, I was quickly requested to take over piloting and straighten out the mess. Perhaps the Navy crews didn’t want other ships to know where they were, so they didn’t answer radio calls from vessels that might be confused by their conduct? Well, stealth mode is great in times of war, but in the real world, all ships must obey the International Rules of the Nautical Road. My training at New York Maritime College and decades of experience as a Navy Reserve officer and bar pilot tell me that any investigation into the recent collisions should focus on the basics. Hopefully, any investigative commission will include recommendations that the Navy look to commercial fleets for ways to improve seagoing operations in the future. Less redundancy in terms of personnel, a greater emphasis on basic seamanship, and a willingness to streamline operations in terms of crew numbers may well avoid future disasters. Navy traditions are near and dear to this old sailor’s heart, but rethinking the “Navy way” is critical if we are to avoid more tragedy. As we have sadly seen, lives hang in the balance. 2 The Migratory Bird Act is used to stop farmers from killing migratory birds landing in their fields. 4 Named for John S. McCain, Sr. and John S. McCain, Jr., both Admirals in the US Navy. Grandfather and father to US Senator McCain, Jr. of AZ. 5 The Naval Academy discontinued teaching celestial navigation, but recently reinstituted it. 6 From the Navy Personnel Command. The Wellington Branch will hold a meeting at the Bolton Hotel, 12 Bolton Street, commencing 1200, light luncheon at 1230 and Speaker 1300. Luncheon at member cost of $25. Bar facilities will be available to your own account. Car parking is available at the adjacent Wilson car park at $12 for 2 hours. In the past year a number of meetings were attended by wives and guests of members where the speakers subject was of interest. We would extend the same invitation this coming year. The speaker will be Commodore Jim Gilmour RNZN the Maritime Component Commander at Joint HQ at Trentham. He will talk on the Navy today, his experiences as Commander of the multinational Task Group in the North Arabian Gulf and being CO of the HMNZS Canterbury at Lyttelton during the earthquake. Please contact Secretary John Williamson jdwskw@actrix.gen.nz or by phone 04 2326746 to confirm your attendance the previous day. This year marks the centenary of the sinking of the NZ Shipping Company vessel OTAKI which ultimately resulted in the senior boy from the Master’s old school – Robert Gordon College, Aberdeen – being taken to New Zealand and return on one of the Companies ships each year. The early scholars spent some of the time in New Zealand at the Agricultural College, Flock House. For a Scottish version of the sinking and the subsequent history history click on this link below. 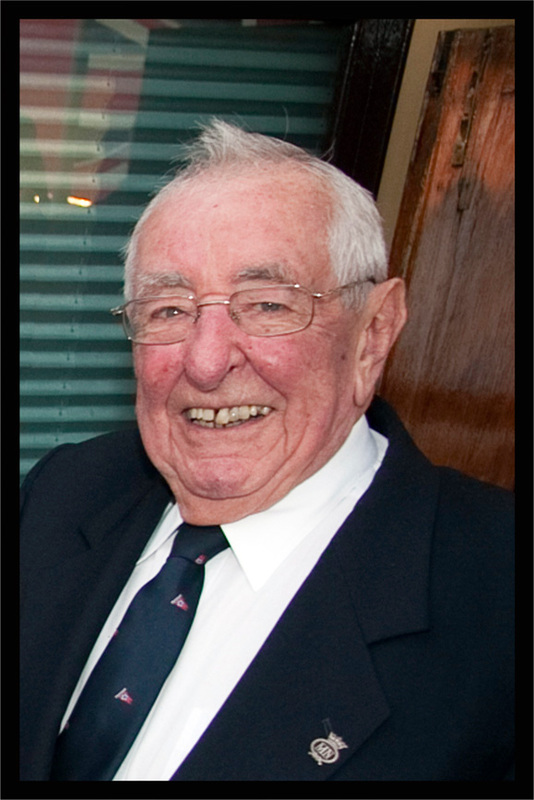 It is with great sadness that we learn of Captain Ifor Owen’s death on 01 February at home after a very short illness. Our sincere condolences to Clare his wife of 60 years and their family. Ifor, a very proud Welshman started his career as a cadet with Lamport & Holt Line in 1946, serving on the UK/ South America and USA/North Brazil trades until his transfer to Blue Star Line in 1953. Ifor was appointed Master in 1963, he later commanded the pre-war New Zealand Star and came ashore as assistant marine superintendent in the London docks in 1964. With the advent of Blue Star Port Line Management in 1968 he was appointed as one of the port operations superintendents responsible for the joint operations of Blue Star and Port Line vessels on the Australasian services. In 1969 he accepted the position of cargo superintendent in New Zealand with the newly formed Blue Star Port Lines (NZ) and was posted to their head office in Wellington. As both Blue Star and Port Lines services to Europe/ECNA were fully containerised by 1984, Blueport ACT (NZ) was formed and Captain Owen was appointed marine operations manager within the new company, which was responsible for all Blue Star’s agency work throughout New Zealand. This was a period of expansion for Blue Star Line in New Zealand, with the containerisation of the West Coast Service and the beginning of the Middle East Service, and Captain Owen was closely involved in planning the operational side of these new ventures. In 1989, with the acquisition of the Shipping Corporation of New Zealand by ACT(A), the New Zealand Line was formed to replace Blueport ACT and Captain Owen became responsible for the ship management division within this new company. Although Ifor retired in 1991 after 45 years’ service to Blue Star Line and the associated companies he kept in touch with his former colleagues with regular weekly meetings at the Featherston City Tavern in Wellington. He was also responsible for instigating the bi-annual trans-Tasman Blue Star Line reunions being held since 2005. He was a long tine member of the Wellington Branch of NZ Company of Master Mariners and was a volunteer at the Wellington Maritime Museum until 2014 where he sorted and catalogued much of the memorabilia. Ifor maintained relatively good health with an excellent memory. Having a keen interest in history he was a fount of knowledge when it came to the Blue Star Line and the maritime industry in general – he will be sorely missed. The death occurred last week in Wellington of ALISTER MacALISTER QSM. Alister was a member of the Wellington Branch for many years and the Company’s Honorary Solicitor. He served in the RN during the second world war and was a past commodore of the RPNYC Wellington. During his working life he represented many ship masters at various inquires. With his passing goes one of the last connections with the sinking of the Russian liner MIKHAIL LERMONTOV. I recently saw the movie “Sully”, I recommend it to anyone with an interest in aviation or marine transportation. It is a Clint Eastwood Directed movie about Capt. Chesley “Sully” Sullenberger’s first ever (successful) emergency water landing of Flight 1592. Something considered technically impossible prior to his successful execution of it on the Hudson River. As a mariner, captain and pilot I was interested in the NTSB investigation as it played out in the movie which got me fact checking. In the movie, the NTSB investigating committee was critical of Capt. Sully’s decision to make a water landing, indicating a landing at one of the New York airports would have been a far wiser and safer decision. Commenting directly on that, Mr. Malcolm Brenner (part of the NTSB’s actual investigation of the accident), recently told Bloomberg News “There was no effort to crucify him or embarrass him”…“If there were questions, it was to learn things.” In contrast, Capt. Sullenberger himself, told the New York Times that the investigation was “inherently adversarial, with professional reputations absolutely in the balance.” Whatever the movie did or did not portray correctly, the NTSB and Capt. Sullenberger certainly have different takes on the actual investigation. Given the NTSB is the National Transportation Safety Board, perhaps there is a takeaway here for them? It’s a big world, mostly (70%) covered by water. There are thousands of ships and tens of thousands of smaller craft like tugs/barges working on it every day. Thousands of vessels, the world over, driven by one thing, Public Demand for Commerce. That’s you, me, neighbors, friends, enemies, conservatives, liberals, environmentalists; everyone you know, have ever known or will know. Each of us are directly responsible for every mile traveled by every vessel on God’s Blue and Green earth. Make no mistake, it is not someone else driving world trade, it’s you. In mid-October of this year, an American tug/barge unit went aground near Bella Bella, British Columbia in a remote part of the famed “Inland Passage” of Canada. In the same time period, a passenger ship hit the jetties while inbound to the port of Nice, France causing a hole below the waterline. A ship being maneuvered in the port of Houston suffered a loss of power causing it to ground on an underwater obstacle resulting in a spectacular explosion and fire. A semi-submersible being towed from Scotland to Turkish scrap yards broke free from the tug towing it and went hard aground in Scotland’s Western Isles. Where am I going here? National safety agencies like the NTSB (USA), ATSB (Australia), MAIB (UK) are not necessarily subject matter experts. For hundreds of years maritime accidents were adjudicated in Admiralty courts by Admiralty Judges. When those cases went to civil and criminal courts vital expertise was lost. Maritime professionals sincerely hope they can rely on the reputational integrity of national safety agencies to be unbiased, fair and expertly informed. Is it hypocritical to get in one’s giant SUV, fill it with gas, drive the family to the airport for a European vacation and take no accountability for where the world presently finds itself regarding international transportation? Is it irresponsible for working maritime and aviation professionals in command not to acknowledge, “The Public Trust” is in their hands? Is itarrogant if national safety agencies conduct accident investigations under the general assumption they know better than the subject matter experts walking the walk every day? We are “all in” on this, whether public, working transportation professional or national safety & regulatory agency; all of us are accountable, no excuses. Although much effort is put into eliminating accidents, the probability is they continue. Let us all work meaningfully and effectively to reduce their impact on Public Safety and the planet.